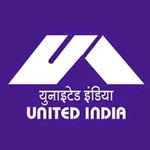 United India Insurance Company Limited (UIICL) is inviting applications for the recruitment of Assistant in the financial year 2014-15. It is a public sector general insurance company wholly owned by Govt. of India. Read out further to get details of UIICL Recruitment 2014 for Assistant post. Age Limit : Between 18-28 years as on 30.06.2014. Essential Qualification : Degree from a recognized university (OR) passed 10+2 level exam with 60 percent marks (50 percent for SC/ ST/ PWD/ EXSM). Local language proficiency is required. Application Fees : Rs. 75 for SC/ ST/ PWD and Rs. 450 for candidates other than SC/ ST/ PWD. How to apply : Candidates need to apply online. No other mode of registration is no applicable. The details of online registration process are given in the advertisement. 0 comments for " United India Insurance Co. Ltd. Assistant Recruitment 2014 "